Who would want to be a TD? This column is from two weeks back (July 3rd, 2017) and is both a guarded defence of the political party system and a warning of the dangers of the constant desire of the hard left fringe parties to take politics out on to the street. Who in their right mind would want to become a T.D.? The pay is good, the perks are decent and the scope for promotion (career and ‘self’) is none too bad either, but can these incentives really outweigh the forfeiture of a private life, never mind the ongoing press, public and social media opprobrium whenever you express an opinion? Shouldn’t politics be a vocation, not a career path? The problem with that view is not just that it is naïve, it is that it simply won’t work. Try it and we end up with a Dáil full of only those who can only afford to be there by virtue of their profession, their families’ money or simple “pull” – by the way not all of them would be on the right, a fair few would also come from the comfortable left, but that’s just an aside. Enda Kenny’s fascination with his predecessor John A. Costello continues. Not only is Enda determined to beat Costello’s record for time served as Taoiseach, he now seems to want to eclipse Costello’s penchant from making major constitutional announcements outside the country. Costello announced his intention for Ireland to abandon the External Relations Act (and effectively quit the British Commonwealth and declare itself Republic) during a visit to Canada in 1948, while Kenny announces in Philadelphia that he intends to hold a referendum to give the Irish diaspora votes in future Irish presidential elections – but only in elections after the next one. There are many legends about Costello’s Ottawa announcement, including one version that claims he made it when was “tired and emotional” and another that asserts he did it after being offended by the placing of a replica of the Roaring Meg canon used in the Siege of Derry in front of him on the dining table at a formal dinner at the Governor General’s residence. But they are only legends. What exactly is this “New Politics” we have been reading and hearing about so much lately? It was the question that should have occurred to me as soon as the Public Relations Institute asked me to participate in a panel discussion they held last Thursday as part of a half day seminar entitled: Public Affairs in the era of ‘New Politics’. But it didn’t. Like many others, I have been throwing about the phrase “new politics” in the two and a half weeks since the Dáil elected a Taoiseach as if everyone understands what it means. This is the handbook prepared by US Republican pollster Frank Luntz in 2009. It sets out the language and arguments that Israeli Government spokespeople should use on the media to explain and defend Israel’s then occupation of Gaza. You can hear lines from this 2009 being used again today to defend the latest onslaught on Gaza. Here is an article by Patrick Cockburn from the UK’s Independent newspaper on the handbook. Download the Seanad Information Booklet produced by Democracy Matters! As a firm believer in Seanad reform – and consequently a trenchant opponent of Seanad abolition – the Sunday Independent’s Millward Brown poll showing the No to Abolition side gaining further momentum is gratifying. The past few weeks have hardly been great for the No side. Fine Gael has been pretty active on the airwaves over the Summer break, while Sinn Féin’s opportunistic decision to campaign for a Yes, having vehemently opposed the Government’s proposal in both the Dáil and Seanad, hasn’t helped the No cause either. All this makes the increase in the pro Seanad reform level of support all the more re-assuring. Not that the poll suggests that the campaign is done and dusted. Far from it. More than almost any other, this Seanad abolition policy, is the lone brain child of Enda Kenny. Though there seem to be no research papers, discussion documents or policy positions he can produce to justify the origins of this initiative, he is the man behind it and he has more to lose by its defeat than anyone else. While Labour nominally favours abolition, its TDs and Ministers can reasonably see their policy obligations as fulfilled by the holding of a referendum. Don’t expect to see many of them working too hard for a Yes to abolition vote. Indeed, as the Labour Chief Whip has indicated, at least half the Labour parliamentary party may actually work for a No vote seeing it as the best way to secure a popular mandate for Seanad reform. One of the two authors of Labour’s 2009 position paper on Seanad reform, Junior Minister, Alex White has not commented on the issue much, while the other author, Joanna Tuffy TD has indicated that she will be campaigning for a No vote. The worrying shift in the poll numbers make it necessary for Fine Gael to up the ante over the weeks ahead. Given that the main shift has been in the group who describe themselves as favouring reform expect to see Fine Gael focus its attentions there and try to convince them that a Yes vote is a vote for reform. We already had a glimpse of this approach last week via its neophyte Wicklow TD, Simon Harris’s speech at the Parnell Summer School. Harris advanced the argument that abolishing the Seanad counts as reform and gives power back to the people as it means the single remaining chamber of the Oireachtas: the Dáil will be 100% elected by the public. Harris’s reasoning seems to hinges on the statistic that the number of people registered to vote in Seanad elections, under current legislation, is around 156,000; about 5% of the approx 3.1 million entitled to vote at the February 2011 Dáil election. What Harris misses, however, is that this 156,000 (Councillors, Oireachtas members and NUI and TCD graduates) is defined in legislation – not the Constitution. Everyone in the North and South could be given the right to vote with the passing of an Act by the Dáil and Seanad. Indeed the Seanad has already voted for such a piece of reform with the Second Stage vote on the Quinn/Zappone Seanad Reform Bill. The extension of the Seanad franchise to all is now completely within the gift of Deputy Harris’s colleagues on the government benches. The only real obstacle to such a real reform is the Taoiseach’s obduracy in insisting on Seanad abolition instead of reform. Though not central to the argument it is worth noting that the 156,000 figure is probably an understatement as it just counts the NUI and Trinity graduates who have registered to vote. Many 100s of 1000s more are entitled to vote by virtue of their graduation. The other problem with Harris’s reasoning is the idea that the answer to existing disenfranchisement is more disenfranchisement. It defies all democratic principles to propose removing someone’s voting rights when you have it in your power to extend them. If you were to apply Deputy Harris’s quirky logic to the campaign for women’s suffrage a century back you would determine that the way to ensure equal voting rights for all was to remove the vote from men so that the two genders were equally disadvantaged. The very legitimate criticism that not enough people are entitled to vote in Seanad elections is properly addressed by giving everyone the right, not by removing it. I would hope that Deputy Harris’s espousal of a position that is the absolute antithesis of reform is informed by loyalty to his party leader and desire for advancement rather than by belief in the argument itself. If it is the former then the case for reform is all the greater, if it is latter then it is time to worry. TNT24.ie asked me to take a quick look back over the issues emerging so far in the Seanad referendum campaign. As a protagonist on the Seanad Reform side, I do not claim this to be an impartial observation, but I have attempted to make it as fair as possible. 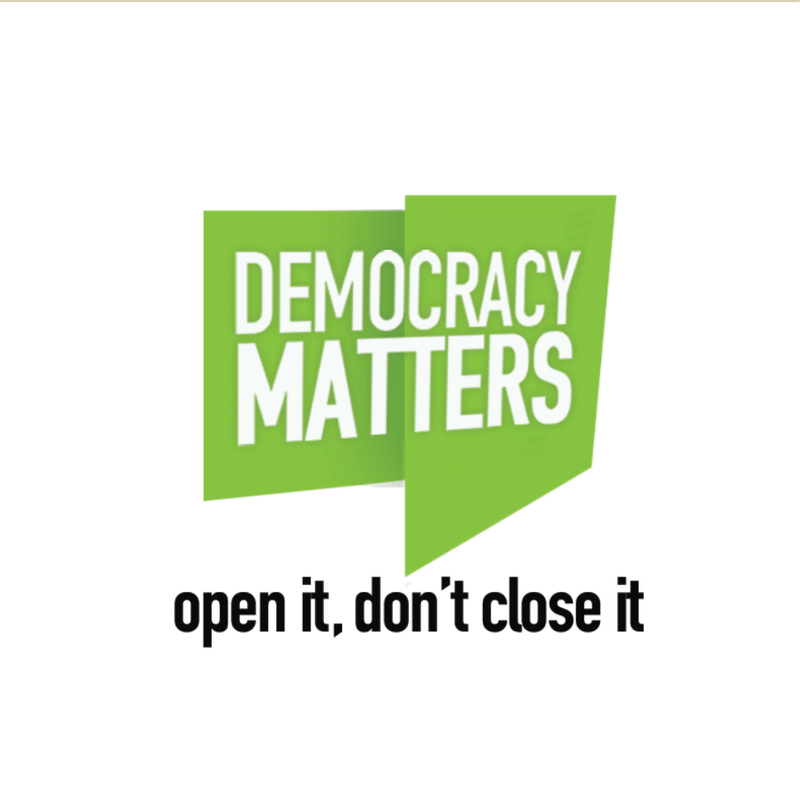 Just over eight weeks ago Democracy Matters, the civic society group advocating Seanad Reform rather over abolition, was launched. A week later, in Government Buildings, An Taoiseach Enda Kenny and Tánaiste Éamon Gilmore published their proposed amendment to the Constitution which, if passed by the people in about eleven weeks time, will abolish Seanad Éireann following the next election. This has been to the advantage of the government side abolitionists so far. The discussion so far seems to have been on the government’s terms with very little real exploration of the No side’s reform alternatives. Nonetheless, the No side have had some success punching holes in some of the government’s case to date. €2m in annual pensions costs relating to the Seanad. Reform advocates point to the January 2012 testimony of the outgoing Clerk of the Dáil, Kieran Coughlan who estimated the gross annual saving from abolition would be less than €10million. If you take into account that at least 30% of that €10million goes back to the Exchequer in taxes, levies and VAT, the real annual cost of the Seanad to the taxpayer is probably between €6 million and €7 million. The €2 million pensions cost would continue for all former members and might likely increase for the foreseeable future with 60 Senators being made redundant in one fell swoop. As for the indirect costs the Oireachtas has said that it is not possible to estimate the net actual savings and advises there would be substantial increases in pension costs and redundancy payments. The government does not mention the estimated €15+million cost of holding the referendum. This is based on the government’s own figures for the costs of the Referendum on the Protection of Children held on the 10th November, 2012. The whole debate on costs is probably moot. As Senator Professor John Crown has pointed out, Minister Brendan Howlin has stated that money saved from Seanad abolition will be redeployed to Dáil Committees. So there will be no net savings to the Exchequer. Scale:The government’s next big argument for abolition is that Ireland is too small a country to have a two chambered (bicameral) parliament and to have as many national politicians as we have. These lines has been trotted out many times with the Taoiseach and Ministers making lots of references to such similarly sized places as Denmark, Finland, Sweden and New Zealand. Reformists say that there is no direct correlation, between the size of State and parliamentary system. China with a population of over 1.3 billion has a single chamber (unicameral) parliament while the parliament of Saint Lucia (population 170,000) is bicameral. They argue that bicameral is the norm for common law countries, such as ours – regardless of size. Indeed world’s wealthiest nations are mostly bicameral: of the fifteen countries with the highest GDP only two – the People’s Republic of China and South Korea – have a unicameral parliament. As for the comparisons with Scandinavian countries, you are not comparing like with like. The overall structure of these Scandinavian political systems is very different from ours. In Denmark, Finland and Sweden local government is at the heart of the political system. In Sweden, for example, there are three tiers of government. These local governments can set their own local income tax. As for the numbers, contrary to having fewer politicians all these countries have more. Relevance: Launching the government’s referendum proposal; back in June the Taoiseach questioned the relevance of the Seanad saying that modern Ireland cannot be governed effectively by a political system originally designed for 19th century Britain. Putting the factual error on 19th century Britain element part down to the rhetorical over exuberance of his speech writer (perhaps the same one who thought Lenin had visited Ireland and met with Michael Collins), it is a theme frequently mentioned. Does much of the question mark over the Seanad’s relevance stem from how it is elected – mainly by other politicians? If so, could it not be addressed by extending the franchise for the Seanad and allowing every voter on the island – North and South – the right to vote in Seanad elections? The method of elected the 43 vocational Senators is set out in law, not in the Constitution. It would not take a referendum to give every existing (and future) voter the right to vote in a Seanad election. Every voter could decide on which panel they wished to exercise their vote: Labour, Culture & Educational, Agriculture, Industry & Commerce and Administrative and vote accordingly. Everyone would get one vote – no more multiple voting. 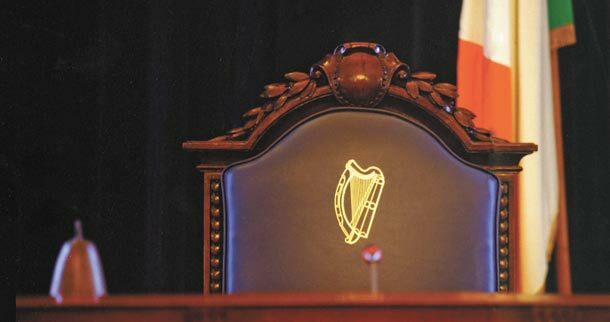 With this one simple act – achieved by legislation – the government could do more to address the Seanad’s relevance and the issue of Oireachtas reform than with any number of referendums. The new, reformed Seanad would be a positive response to the fiscal crisis and loss of sovereignty. The global crisis was exacerbated in Ireland because public policy and economic dogma went unchallenged. Regulators went unregulated, civil society and the party system failed to advance realistic alternatives. Rejecting abolition and giving ourselves a new reformed Seanad is about ensuring this doesn’t happen again. On Thursday last the hopes and political aspirations of many hundreds of aspiring and existing City and County Councillors were either dashed or revived with the publication of the new local government electoral boundaries. Within seconds of being posted online the reports and maps containing the details of the new wards and local areas were being downloaded by political junkies and local election hopefuls across the country, looking to see how the new boundaries would impact on their community. While these changes, reflecting shifts in population measured at the last Census, are always anxiously awaited, this review had a particular significance as it had been heralded by the Environment Minister as important next step in the Government’s programme for local government reform. Unlike previous reviews this one had a specific goal of improving balance and consistency in representational ratios in local government. This has been an issue for many years with huge variations in the size of local council constituencies between Dublin and many rural areas. While someone running for election in Dublin City would need 2,500+ votes to secure a seat, someone else running in Leitrim or Roscommon might only require 900 or so votes. In order to redress this imbalance the Government decided to set terms of reference that reduced the ratio in certain rural areas and reduced it in Dublin. The net effect was that Dublin and other major urban areas get more councillors and many rural areas get less. The net effect of this rebalancing coupled with the Government’s already stated policy of scrapping Town Councils is a reduction in the number of council seats from 1,627 to 949 and in the number of local authorities from 114 to 31. This is a significant reduction and it is not going down too well across the country. While much of the analysis of the review and the changes has understandably focussed on this particular aspect, there is another area which is also worth considering, in the contexts of the Government’s plans to propose the abolition of the Seanad in a referendum later this year. In scrapping the town councils and reducing the number of local elected representatives so dramatically; have they – to use a phrase from a bygone Fine Gael era – just shot their own fox? Over the past few weeks and months Fine Gael has been claiming that Ireland does not need a Seanad or second parliamentary chamber based on its size. They have been particularly eager to draw comparisons with a number of the Nordic countries, pointing out that they only have one Chamber and that their average number of national parliamentarians is 160. 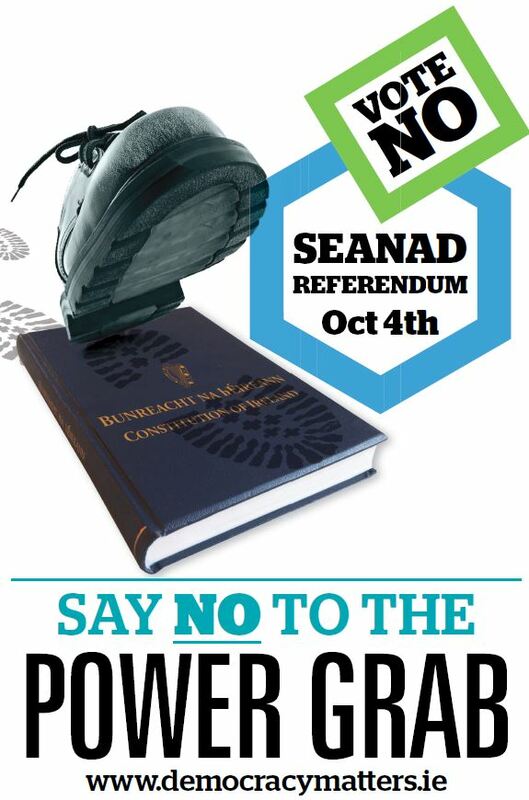 They even put this claim on their Seanad Abolition posters saying that its time that we too had “fewer politicians”. The problem with this assertion is that it is just plain wrong. The comparisons Fine Gael try to make don’t work because they compare apples with oranges. They compare bicameral (two chambered) parliaments with unicameral (single chambered) ones and shriek with terror that the bicameral ones have more members – well, of course they have. They are two chambered. What Fine Gael don’t tell you though is that this is just half the picture. While countries like Norway, Sweden, Finland and Denmark do not have an upper house of parliament, i.e. no Senate, they have far more powerful, advanced and resourced systems of local government instead. That is how they maintain the checks and balances essential to a proper democracy – balances this Abolition proposal will eliminate. 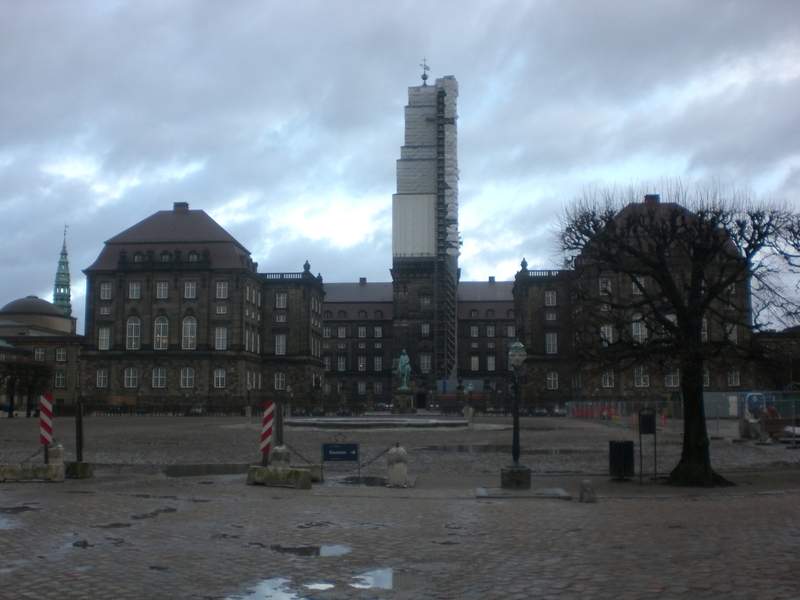 Denmark has 98 local authorities and 2,500 local Councillors. Finland has 304 local authorities and just under 10,000 local Councillors. Norway has 423 local authorities and 12,000 local Councillors. The most impressive one by far is Sweden. It has a whopping 50,000 public office holders. In other words 1% of the entire Swedish adult population (ie between 18 and 80) is a politician. Over 3,500 of these public representatives serve on regional council governments. There are 20 of these councils based on Swedish counties. But these are not our Irish county councils – these councils control local schools, health services and have the power to raise their own taxes. Below this regional government tier there are about 46,000 local Councillors running their own local municipalities. Sweden has approximately twice our population. So to match the Swedish level of public access and participation we would need to create an additional 20,000 + elected positions. Even before Fine Gael put up a single poster we already had fewer politicians per capita than Sweden or any of the Scandanavian countries. Ireland will have 31 local authorities and 949 Councillors. Doesn’t this run counter to their argument? Surely the way to end elitism is to create more opportunities for access and participation – not less! Doesn’t this expose and even widen a hole in the Government’s Abolition argument? The Nordic countries may not have Senate, but they have a sound reason for not needing one. Their systems of government and administration are considerable more devolved than ours, with the Government and parliament retaining less centralised control over day to day services than we do. In practice this means that the scrutiny and oversight we need to conduct in a Senate can be done by them at the local government level. If the government seriously believes that it can move our parliamentary system to resemble the Nordic model is it not going completely the wrong way about doing it? Next week the Government publishes the legislation that paves the way for a referendum on abolition of the Seanad later this year. Last week the same Government supported a proposal from independent Senators not to abolish the Seanad but to reform it. So how can they advocate two such contrary positions within two weeks of each other? The answer is simple – abolition is not as simple and straightforward as originally thought. It does not mean just rubbing out a few words in the Constitution: it will require about 75 individual amendments. The origin of all of this is a Fine Gael knees up back in October 2009. 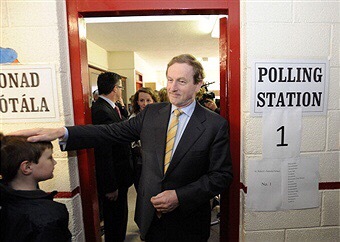 That is where Enda Kenny made the surprise announcement that he planned to scrap the Seanad. His new policy came as a surprise as only three months earlier his policy was that it be given greater powers and become a forum on European issues. 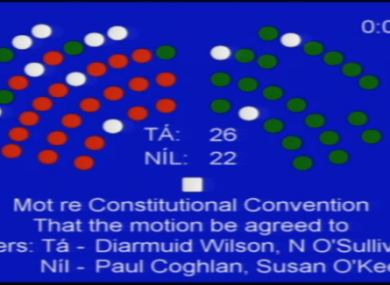 So what happened over those summer months, when neither the Dáil nor Senate were sitting, to change Enda’s mind? 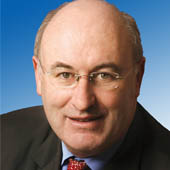 Nothing it seems, apart from being upstaged by Éamon Gilmore and growing criticism within Fine Gael of his leadership. Enda needed a soft target – and the slow, lumbering Seanad obligingly painted a nice big un-missable bull’s eye on its own backside. While it is difficult to present an argument for retaining the Seanad as it is: with most of its members elected just by TD’s and Councillors, that is not the same as saying that we do not need some form of a Second House of Parliament. Indeed it has, even with its antiquated system of having 6 seats elected by University Graduates and the Taoiseach nominating 11 members. It has allowed many voices and views from outside the political mainstream not only to be heard but to have a say: from W B Yeats to Seamus Mallon to Éamon de Buitléar to David Norris. The value of having a second chamber to revise laws and give proposals further scrutiny can be demonstrated with one simple statistic. Since 2011 the Seanad has made 529 amendments to 14 different laws passed by the Dáil with inadequate scrutiny. Without a Seanad or Second chamber those defective laws would have passed on to the statute without correction. In today’s Ireland we need more scrutiny and oversight – not less. Abolition strengthens the old system. It means fewer new voices. The answer lies in reform, not abolition: open up the system, don’t close it down. We need a reformed Seanad that makes those in power accountable. We need a reformed Seanad that has a gender balance. One where all of us, not just an elite, get a vote, including people in the North and those forced into emigration. These basic, but effective, reforms could be made without a referendum and major constitutional change. All that is required is a Government that has the will to make that change. We should be given the option of change. Instead, the government will spend millions on a referendum that only offers a sham choice between keeping something that we know is not working as well as it could and handing its powers and resources over to a Dáil that has proved itself less than capable of holding Government to account. Have we learned nothing from the crisis? Do we want to fix the system or merely consolidate it?